Make a statement with the sturdy and comfortable Bungee Chair Orange. Featuring cushioned seating and an interlocked bungee cord system for optimised back support. 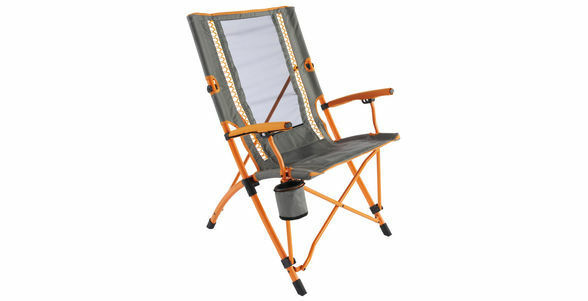 Capable of supporting up to 136 kg and featuring a swivel soft cup holder, this Bungee Chair Orange is perfect for relaxing on the campsite. Chair also comes with a handy carry bag for easy transportation.